Hon. Hadjiman “Jim” S. Hataman-Saliman, Representative of the lone District of Basilan will send five Basileños students on scholarship to the Western Mindanao State University-College of Agriculture. 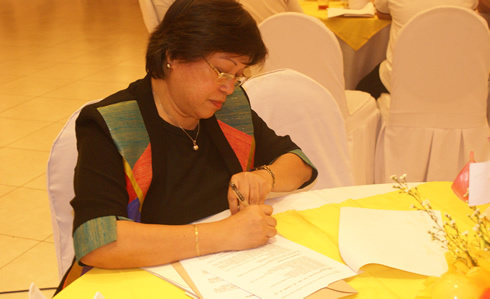 WMSU President, Dr. Grace J. Rebollos and Hataman-Saliman’s Chief of Staff, Arnel Paul Abah sealed the Memorandum of Agreement (MOA) last March 31 during the university’s post-graduation party at the Grand Astoria Hotel’s Celebrity Hall.